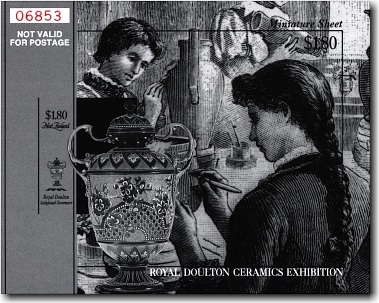 This issue commemorated the 1992 - 1993 Royal Doulton Ceramics Exhibition in New Zealand. The exhibition included over 750 items with over four fifths of the items displayed coming from family collections in New Zealand. 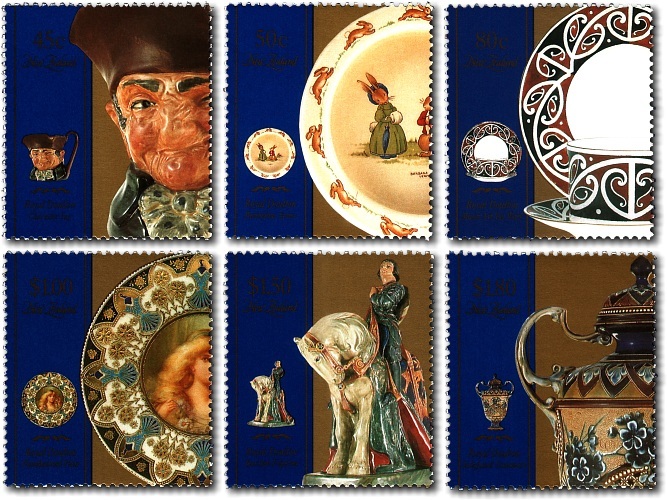 The Royal Doulton Company is one of the most renowned English companies producing tableware and collectables, with a history dating back to 1815. In 1901 King Edward VII granted the Burslem factory the Royal Warrant, which allowed the business to adopt new markings and use the Royal Doulton name. 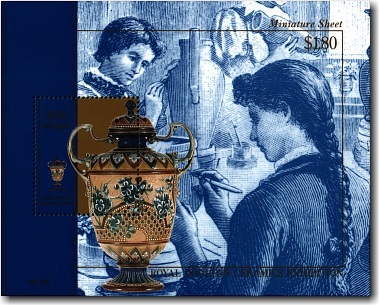 A miniature sheet was issued containing the $1.80 stamp in context. A limited edition imperforate miniature sheet was also printed in black and white.